The Superintendency of the Manaus free Zone (Suframa) tends to suffer a fall immeasurable in its collection. This is mainly due to the planned uncostitutional dispositions contained in law No. 9,960/2000. Thus, several companies benefited by the come by filing lawsuits in order to pleitearem the suspension of the enforceability of recovery of Administrative services fee (TSA), as well as the return of the funds already paid in the past five years. In view of this, this article has as main objective to present the causes, the consequences of the fall of this collection and, therefore, propose a solution to the sanitation of the illegalities found in the said law. The Manaus free trade Zone is an area of free trade of import and export and special tax incentives, with the purpose of creating inside of the Western Amazon, especially in Manaus, an industrial, commercial and agricultural Centre, which allows the integration of socio-economic region with rest of the country (the art. 1 of Decree-Law No. 288/1967). And for that to be possible, was created a federal Authority, the Superintendency of the Manaus free Zone (Suframa), which has the main purpose to manage the entry and exit of goods encouraged in the region. Given this, Suframa, by means of item (IV) of article 20 of Decree Law No. 288/1967 and item (IV) of article 59 of the Decree nº 61,244/1967, has the ability to establish for services rendered a rate of Administration (TSA), which was, therefore, standardized by law No. 9,960/2000. According to the general coordination of Regional Development (CGDER/Suframa – transparency Portal), Suframa, over the past 10 years, raised with this rate about of R$ 3,413,234,413.04 (three billion, 413,000,000, 234,000, 413 and four cents). And, a portion of these resources is intended to promote the economic development of the region, by means of agreements and other similar instruments (Decree No. 6170/2007). However, law No. 9,960/2000, responsible for the institution of Administrative services fee of Suframa (TSA), has been suffering several lawsuits regarding its constitutionality. And this has reflected directly in the fall collection of resources from the TSA, since the companies benefited by the Manaus free trade Zone model no longer want to collect the corresponding tribute. Soon, this situation affects intrinsically in the generation and development of governmental actions able to stimulate the regional economy. Initially, we will demonstrate concisely the importance of allocation of resources collected from Administrative service fee of Suframa. Given this, we can show that a large part of these resources are responsible for creating and promoting an effective economic base in the Amazon, generating income, employment and development. In addition, serves as a vector for trying to reduce socioeconomic disparities of the major urban centres of the country. On the second point, this work aims to present what are the present lawlessness in law No. 9,960/2000 and its close relationship with the fall arrecadatória this tribute. In this sense, we can contextualize all the consequences generated by this fall, especially with regard to the growth of the region. And finally, we bring the best solution to the case, presented the necessary adjustments required in law No. 9,960/2000. The methodology applied in this study will be only of bibliographical nature, since the work will be based on laws, books, newspapers and court verdicts. Therefore, we of course note that the political entity establishing and collecting the fee is one who performs the related service or exercising the power of police. In addition, the fees are taxes considered contraprestacionais, since these cannot be charged without the State exercises its power of police or provides a specific and divisible public service, or put at your disposal. Teaches Geraldo Ataliba (2000) the rate is "the chance of incidence-bound tribute which consists of a State acting directly and immediately to thank you." […] tribute to the acting State appears directly addressed to the taxpayer, either by the exercise of the police power either by providing effective or potential of a specific and divisible public service, whose base of calculation differs, necessarily of any tax. As a tribute, the fact that may lead to its recovery will always be a State action. At this point lies the distinction between fees and taxes. We have, then, the facts are always tax generators, events (facts, acts or business) denoting simply a economic capacity as: sale, consignment, export, production, revenue or income. The rate, the triggering event has to be an occurrence related to the use or disposal of the provocation, service, or activity of the State: invocation of the functioning of Justice, settlement of measuring and weighing instruments etc. Little matter the nomen iuris that the legislator confers a particular tribute. "Fees are taxes that are characterized by presenting, in the event of the standard, the description of a fact revealing a State activity, directly and specifically addressed to the taxpayer. It differ from taxes, and the analysis of their calculation should display, forcibly, the measure of the intensity of the participation of the State ". Thus, with the reading of the constitutional device cited and the concept launched by the Illustrious Teacher, the positive law proposes two kinds of rates. The first species relates to those fees charged on grounds of State police power. The second species comes from fees charged for the provision of public services. Art. 78. Considered police power public administration activity, limiting or disciplining right, interest or freedom, regulates the Act or practice abstention as a matter of fact, on the grounds of public interest regarding safety, hygiene, to order, to costumes, to the production and market discipline, the exercise of economic activities dependent on grant or authorization from the public authorities, the public tranquility or to respect the property and the individual or collective rights. And the sole paragraph of art. 78 reads as follows: "the charging rate on the exercise of the police power must be regular, in compliance with the law, without abuse or misuse of power, with obedience to the principle of due process of law. "Given this, realize that you can only charge of police by the effective exercise of the police power, considering that such a situation does not supports the possibility of charging fee for potential State activity, as occurs for rates concerning the provision of public services (art. 145, II, CF). The study to be presented refers specifically to rates of police, as the case of the Administrative Services of Suframa (TSA) fits, perfectly, on the concept of police power rate, considering that the basis of calculation, the less factual form, is related to the hypothesis of impact focused on customs regulation. Although law No. 9960/2000 refer to the two options provided for in Art. 145, II, of the Federal Constitution of 1988. Pursuant to Decree-Law No. 288/67, the Manaus free trade Zone is an area of free trade of import and export and special tax incentives, established for the purpose of creating inside the Amazon an industrial center with economic conditions to allow its development, with a view to national development and to overcoming regional inequalities, as fundamental objectives set out in the Federative Republic of Brazil in accordance with articles 3, 43 and 170 of the Federal Constitution. Its creation dates back to 1967, at the time, the federal Government realized that it would be necessary to promote the integration of the Amazon region to the national territory, stimulating their economic growth. In view of the disadvantages of the territorial extension (long distance of the main economic centers of the country), but also to protect our borders, because the region had a tendency to be abandoned and economically stagnant. The area of expertise and breadth of SUFRAMA is not restricted only to the city of Manaus as originally envisaged the Decree-Law No. 288/1967, nor to the Manaus Industrial Pole-PIM, but yes to four States belonging to the Western Amazonia (Amazonas, Acre, Rondônia and Roraima) and the cities of Macapá and Santana, magnification is made by means of Decree-Law No. 356/68. Art. 524. Constitute areas of free trade in the import and export under special tax arrangements are established with the purpose of promoting the development of region-specific border areas north of the country and to increase bilateral relations with neighboring countries, according to the Latin American integration policy. Art. 530. Free trade areas are administered by the Superintendency of the Manaus free trade zone. In order to play this role of Manager of tax benefits in the region, made the Suframa acquire full active capacity to play to collect and monitor through rate, specifically, of police power, the physical ticket of the goods and their internment in the area encouraged, as calls for the item (IV) of article 20 of Decree-Law No. 288/1967 and item (IV) of article 59 of the Decree nº 61,244/1967. Activities inherent in tax incentives, institutional responsibilities and assignments related to the occupants of offices of Suframa, whereas articles 12 and 21 of the Decree nº 61,244/67, focus on the exercise of the control of the entry of national and foreign goods in the free zone of Manaus and maintenance of register of companies benefited by incentives administered by entity. 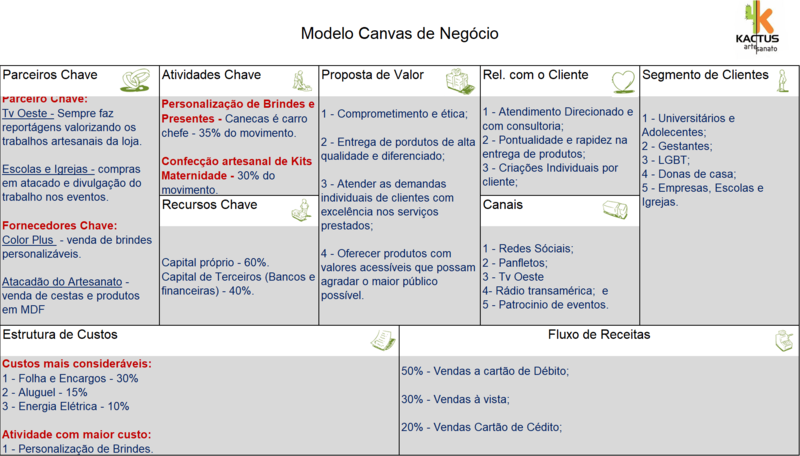 For educational purposes, it is pertinent to detail the 5 (five) macro tasks involved in this strategic area: survey of national goods; inpatient service; registration of companies; and analysis and documentary Conference, in addition to the estimated tax expenditures of the free zone of Manaus, Western Amazonia and free trade Areas. In 1/28/2000, was set up to Act No. 9,960 in favor of the Superintendency of the Manaus free trade zone-Suframa, which aimed to establish and standardize the collection of Administrative services fee-TSA-about the activities concerning the license and the enjoyment of tax benefits in the Western Amazon region and the cities of Macapá and Santana. According to article 1 of Law 9,960/2000, the rate of Administrative Services-TSA, triggering event regular exercise of the police power, or the use, or potential, specific and divisible public service, provided the taxpayer or put at its disposal by the Superintendency of the Manaus free trade zone-Suframa. The first situation of illegality is inserted in article 1 of Law 9,960/2000, since the rate was introduced without defining specifically the triggering event of the collection. The extraordinary appeal with interlocutory appeal (ARE) no 957650 Da Zavascki Minister expressed that the federal law that established the TSA is limited to repeat as the triggering event tribute to abstract definition of its subject, failing to define specifically which State activities of the Office of the police power or which specific and divisible public service, provided the taxpayer or put at your disposal , which would be subject to taxation. Thus, both Classes of the Supreme Court have been manifested by the unconstitutionality of the fee established by law No. 9,960/2000, not having been specified the tribute generator factor, considering that the law in question makes only an abstract Art reproduction. 145, II, of the Federal Constitution of 1988. MENU: TAX. EXTRAORDINARY APPEAL WITH INTERLOCUTORY APPEAL. MANAUS FREE ZONE SUPERINTENDENCE (SUFRAMA). COLLECTION OF ADMINISTRATIVE SERVICES FEE, ESTABLISHED BY ART. 1 of LAW 9,960/00. UNCONSTITUTIONALITY. Is unconstitutional. 1 of Law 9,960/00, which established the Administrative services fee (TSA), by not defining specifically the fact exação generator. Further known to dismiss the appeal, with the recognition of General repercussion of the theme and the reaffirmation of jurisprudence on the matter. The second situation is referring to article 3, as this provides that payment of the TSA will obey to the values set out in annexes I to VI to this law. However, annexes II to VI has the same basis for calculating other taxes, such as import tax (II), for imported goods (Annex II to V) and tax on industrialized products (IPI) for goods of national origin (annex VI). In short, federal law elected as a basis of calculation, the value of the goods in the Invoice when joining the Manaus free trade zone. In this sense, the Federal Constitution prohibits fees have their own tax calculation base (art. 145, § 2). And the national tax code ratifies the same position, with the rate cannot have calculation basis or triggering event identical to corresponding to taxes (art. 77, sole paragraph). Furthermore, the Tax law is the postulate "typicality closed", for which the law establishing exação must bring all bulge in his the elements necessary for the imposition of this tax, which are: the chance of incidence, the active/passive subjects, the basis of calculation and the tax rate. Another fact of illegality, in the said law, is present in the sole paragraph of article 3, which reads as follows: "the products that treat the Annexes IV and V of this Act shall be determined in order of the Superintendent of Suframa and can be updated through analysis of proposals made by the respective class entities" (first paragraph of article 3 of law No. 9,960/2000). The issue at hand it is material (substantive law) rules concerning the tribute, so those understood able to define the base of the tax obligation (fact generator, calculation basis, tax rates and contributor). Thus, tax law differs from the common demand, lawfulness within other requirements, absolute reserve, covering tax law formal (obedience to the legislative process and organ competent legiferante) added to the material tax legality (definition of all aspects of the triggering event). I saw The chance of exclusion, suspension and revocation of tax credits, or remission or reduction of penalties. The legislature was exhausting in conceptualization, exactly because if there is no legal base, there will be no tribute. It is a concept quite dense, that is, to provide the legal basis for the collection of this tax has to be the forecast of all for the purpose of that is defined the legal link of obligation between the subject and the taxpayer. Illustrates the Professor Roque Antonio Carrazza (2003), in his Constitutional law course: Tax on the rule of law, the legislature holds the exclusive edit legislation designating, for all people, duties and obligations that restrict or condition the freedom. In this way, the content of the principle of legality requires that the tax standard that creates or increases tribute, although in a way, you know, be a law. The requirement of the principle of tax legality is fulfilled when the law delineates, and thoroughly, "taxable suit". In this same situation, especially as regards disobedience to Legal reserve Principle, also suffers article 7 of law No. 9,960/2000, when States that "the Superintendent of Suframa shall have, in the lobby, on deadline and the conditions of payment of the TSA, including the reduction of levels of differentiated collection for segments considered of interest for the development of the region subject this reduction to the approval of the Board of Directors of Suframa. It turns out that the Act of reducing the levels of charges for segments considered of interest for the development of the region cannot be done by legal infrastructure Act, that is, through an Ordinance, because the situation entered is reserved for the law, strictly, as situation has already exposed. The Manaus free Zone (ZFM) has been shown to be a regional model of development able to create an economic base in Western Amazonia and promote socio-economic integration of the region to the rest of the country, as a way of reducing regional disparities. In the past, the federal Government has promoted actions to which the City radiates the wealth generated by the Industrial Pole of Manaus to the 153 municipalities in its area of operation. This program is held, basically, with funds raised by SUFRAMA, from Administrative service fees-TSA, charged the companies located in the area of Manaus free zone Superintendence and parliamentary amendments allocated in its budget, which is laid down in article 6 of law No. 9,960/2000. With these features, SUFRAMA partners (in the form of agreements) with State and local governments, education and research institutions, professional associations and cooperatives to facilitate support for economic infrastructure projects, production, tourism, research and development of intellectual capital formation (training, training and professional qualification). Suframa, from the perspective of its institutional mission, has contributed significantly for almost half a century for the construction of a model of sustainable development for the Amazon. This challenge was ratified by the local authority when its strategic planning alignment with the guidelines of the multiannual plan 2012-2015 of the Federal Government, leading to convergence with the productive development policy inherent in the Brazil Largest Plan. According to information gathered by the general coordination of Regional Development (CGDER/Suframa – transparency Portal), on Suframa, through volunteer transfers, were applied in the period from 1996 until about 2013 of R$ 810,937,611.74 (810,937,611). And the State of Rondonia was the entity that more developed projects in the period, followed by the States of Acre and Amazonas. On the other hand, the State of Amazonas was the ente which received funds in an amount corresponding to the period R$ 225,539,205.00 (225,539,205). Among the investments, we can highlight the example from the city of Cruzeiro do Sul/AC, located 631 kilometers from the capital Rio Branco and 1487.89 km of Manaus/AM, where low employability and income generation by the private sector makes the economic activity of the municipality is focused on extractive activities and the primary sector. In that municipality, due to geographical remoteness from large urban centers, including the capital, the role of SUFRAMA as economic activity-inducing is important to facilitate the circulation of wealth, including impacting on supply of public goods and services, in addition to promoting strategically national sovereignty in a border region as atypical and isolated. The amount of funds transferred by the SUFRAMA from necessarily administrative service fee, the municipality represented 11% of total transfers by the Federal Government, in the period from 2000 until 2013. Were targeted investments to strengthen regional development through production, tourism and infrastructure, mainly, in the recovery of roads and local roads to facilitate the production, easing the geographic isolation. 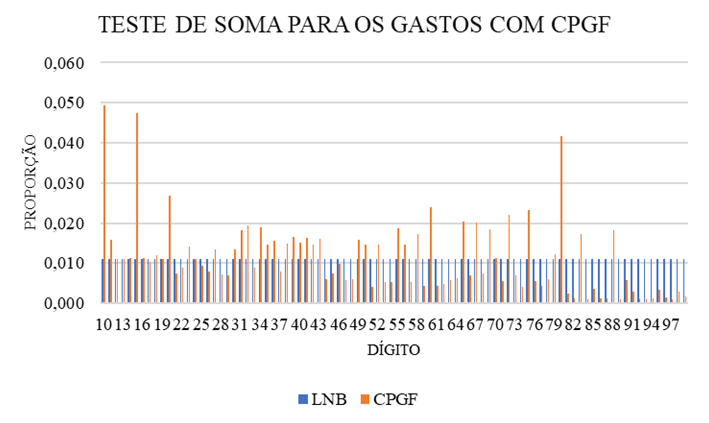 It is worth noting that the upward trend of the Human Development Index-HDI of per-capita income of the municipality of Cruzeiro do Sul/AC, for example, shows correlation with the growing volume of funds invested by Suframa over the same period. Such resources have helped in overcoming challenges such as isolation, distance from major urban centres, in addition to the peculiarity of environmental issues involving the region. So, by comparison with other municipalities of the Amazon, which do not belong to the area of action of Suframa, but have economic alternatives (mineral exploration, logging, livestock and others), and geographic location more conducive to production logistics, the effectiveness of the role of SUFRAMA in the monitoring of economic growth-inducing projects and overcoming regional inequalities. Nevertheless, due to uncostitutional dispositions contained in law No. gifts 9,960/2000, there is an imminent risk of a fall collection of TSA's resources. And this is because of several lawsuits filed by companies benefited by the model, which require not only the suspension of the chargeability of the tax obligation, but also the return of payments made in the last 5 (five) years of overshoots. Given this, governmental actions and projects aimed at promoting the region's economic tend to decline with the passing years, generating thus a drastic reduction in the level of economic activity in the region, i.e. a greater crisis still to come. Is evidently proved the importance of the collection of Administrative service fee of Suframa, considering that this primary function is to promote the Western Amazon able to generate sustainable development projects. In this context, such tribute is considered bound, since the State needs to perform some activity to legitimise exaction. In addition, this also has other specific attribute, because it has its collection linked, that is, your recipe serves budget coverage to run activities the Municipality, as the art devices predict. 6 of law No. 9,960/2000 and art. 8 of law No. 101/2000 (Fiscal responsibility law). Sanitation solution to law nº 9,960/2000 is based on fundamental conduct an intervention in the legislative field, since only by law in the strict sense can establish tribute (art. 150, I of CF/88). In this way, because it is fuzzy, all duty have the appropriate jurisdiction starting propositions relating to tax matters, with the exception in subparagraph b, paragraph 1, of the art. 61 of CF/88. For both, there is a need to amend the Act, first, that there is compliance with the principle of Legal Reserve Tax. Given this, there shouldn't be any mention of the legal infrastructure, act as gatehouses and other administrative acts (first paragraph of article 3 and article 7 of law No. 9,960/2000). Second, include another calculation basis for the valuation of the TSA, as annexes II to VI of 9,960/2000 Law has the same basis for calculating other taxes, such as import tax (II), for imported goods (Annex II to V) and tax on industrialized products (IPI) for goods of national origin (annex VI). Thus, the Federal Constitution prohibits fees have their own tax calculation base (art. 145, § 2), as well as national tax code (art. 77, sole paragraph). The third point is regarding the definition of the triggering event, i.e. by which State would be maintainable performance this taxation, since law No. 9,960/2000 did just a reproduction of the abstract Art. 145, II, of the Federal Constitution of 1988. Insert a new basis of calculation that is not exclusively the taxes. In this case, the basis of calculation should use not only the value of the invoice, but also the amount of documents that are admitted via the PIN system-(National Merchandise ticket Protocol) is an electronic document and your authentication will be approved by the manifest Suframa, which will contain all the PINS of its cargo unit, and the carrier send it at WSSINAL. It's worth pointing out that the value of the rate may not exceed the cost of the service provided, in compliance with the principle of the non-forfeiture, as this situation offends vedatória clause entered in the art. 150, IV, of the Constitution of the Republic. ATALIBA, Geraldo. Chance of Tax Incidence. 6. Ed. São Paulo: Malheiros, 2000. Brazil. Constitution (1988). Constitution of the Federative Republic of Brazil: promulgated on 5 October 1988. Contain the constitutional amendments later. Brasília, Senate, 1988. _______. 517 Decree of 8 May 1992. Regulating art. 11 of law No. 8,387, of 30 December 1991, and regulates the area of free trade of Macapá and Santana-ALCMS. Brasília, 11, mai. 1992. _______. 61,244 Decree of August 28 1968. Regulating Decree-Law No. 288 of 28 February 1967 amending the provisions of law No. 6 of 3,173 June 1957 and creates the Superintendency of the Manaus free trade zone-SUFRAMA. Brasília, 30, Aug. 1968. _______. Decree-Law 200, 25 February 1967. Rules on the organisation of the Federal Administration, establishes guidelines for administrative reform and other matters. Brasília, 27, Feb. 1967, rectified on 8 mar. 1967, rectified on 30 mar. 1967 and rectified on 17 July. 1967. _______. Decree-Law 288 of 28 February 1967. Changes the provisions of the law number 3,173 of 6 June 1957 and regulates the Manaus free trade Zone. Brasília, 28, Feb. 1967 and rectified on 10 mar. 1967. _______. Decree-law 356, of 15 August 1968. Extends benefits of Decree-Law number 288 of 28 February 1967, the areas of Western Amazonia and other matters. Brasília, 16, Aug. 1968. _______. 5,172 law of October 25, 1966. 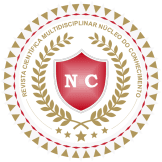 Rules on the national tax System and establishing general rules of tax law applicable to federal, State and municipalities (called national tax code). Brasília, 27, Oct. 1966 and ratified on 31 Oct. 1966. _______. 8,387 law of 30 December 1991. Gives new wording to paragraph 1 of art. 3° to the arts. 7° and 9° of Decree-Law n° 288 of 28 February 1967, the caput of the art. 37 of Decree-Law n° 1,455, of 7 April 1976 and art. 10 of the law n° 2,145, of 29 December 1953, and other matters. Brasília, GIVE, 31 10. 1991. _______. 9,960 law, of 8 May 1992. Setting up the Administrative services fee-TSA, in favor of the Superintendency of the Manaus free trade zone-Suframa, establishes prices to be charged by the Brazilian Institute of environment and renewable natural resources-Ibama, creates Environmental Supervision rate-TFA, and other matters. Brasília, DOU, jan 29. 2000 (Special Edition). _______. Law No. 6 of 3,173 of June 1957. Creates a free-trade zone in the city of Manaus, capital of Amazonas State, and other matters. Brasília, 12, jun. 1957, rectified on 2 July. 1957. CARRAZZA, Roque Antonio. Constitutional Tax law course. São Paulo: Malheiros Editores, 2011, p. 266. _______. Roque Antonio. Constitutional tax law course. 19. Ed. revised, expanded and updated until the Constitutional Amendment No. 39/2002. São Paulo: Malheiros, 2003. CARVALHO, Paulo de Barros. Tax law course. 21. Ed. São Paulo: Saraiva, 2009. HARADA, Kiyoshi. Financial law and tax law. 18. Ed. São Paulo: Atlas. 2009. SABBAG, Eduardo. Tax law manual. 2. Ed. São Paulo: Saraiva, 2010. Graduation in administrative law and contracts the University Cândido Mendes (UCAM/Prominas) and graduated in Government Technology from the University of southern Santa Catarina (Unisul). Acts as public servant of the Manaus free Zone Superintendence (Suframa), in charge of administrative and Technical Analyst. Post-graduate degree in public administration and management of Cities by the International University Center (Uninter) and graduated in Civil Engineering from the Pontifícia Universidade Católica de Goiás (PUC/GO). Acts as public servant of the Manaus free Zone Superintendence (Suframa), in charge of Civil Engineer. Post-graduate in public administration from Universidade Cândido Mendes (UCAM/Prominas) and graduated in business administration from the University of Amazonas (UEA). Acts as public servant of the Manaus free Zone Superintendence (Suframa), in charge of administrative and Technical Analyst.